My palpitations began 4 years ago at age 60 after an incident while pushing snow. My racing heartrate (160) suddenly paused and restarted in a bradycardia. This August, I blacked out behind the wheel, causing an MVA (motor vehicle accident). Doctors suspect sinus node dysfunction, but it has been intermittent and quite evasive on Holter tests. 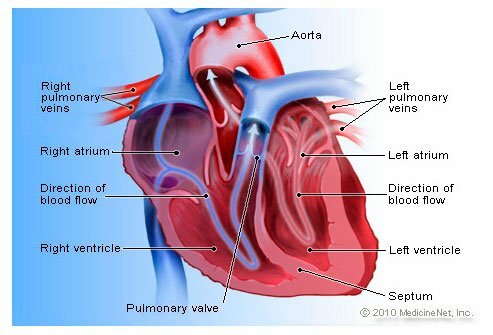 I frequently experience debilitating clusters of PVCs (premature ventricular contractions). Recently I've heard that chronic magnesium deficiency is rampant in our population. Yesterday my doctor prescribed 50 to 100 mg of magnesium daily. Here's hoping it helps to eradicate the problem, along with the associated shortness of breath and faintness. I am now, more than ever, convinced that palpitations can be stress related. I was diagnosed with paroxysmal atrial fibrillation (intermittent) in 2009 when starting menopause. I was very stressed about it and my doctor reassured me that I was not going to have a stroke or heart attack. Symptoms went away immediately and until fall of 2014 I would only have periodic, short-lived episodes. I moved, and went to a new provider to whom I happened to mention the atrial fibrillation too and she scared the heck out of me, said I needed to be on blood thinners or I would have a stroke, etc. I went to a second doctor who said same thing. I saw the side effects of blood thinners, one of which can be death, and decided against them. The episodes are now much more often and intense and only started after these 2 doctors got me anxious again about it. I am now going to see a whole wellness provider to see how to manage the stress and I am pretty confident that I will be able to address this issue that avenue, not by listening to a Pez dispenser doctor who just wants to prescribe medication. I am 23 years old, and three years ago, I started with my palpitations. It was really bad! My heart would race fast, and I'd get really dizzy and pass out. I was in the hospital for two weeks, and they did every test you can think of. I was the youngest one on the cardiac floor and the youngest to have an angiogram performed. It finally went away. They gave me Lopressor to slow down my heart rate. It worked a little. Well that was three years ago, and I've been having palpitations again. Sometimes it feels as if it skips a beat; sometimes it feels as if my heart is working hard to make a beat. I hate this, and it's scary! They never told me what was wrong. So now, here I am, wondering why its back and hoping it doesn't get to the point it was when I was passing out. I have had palpitations since I was 14. I am now 28. It used to not be very bad, but I have noticed lately that they are getting much worse. I can actually feel it about a second before it starts. I am not overweight, don't smoke or drink. Mine is much, much worse when I am tired or when I am lying down. Rarely do I have a problem when I am actually moving. I had very bothersome palpitations that doctors couldn't seem to find a cause for and basically dismissed. After lots of questions and probing on my part, I finally found a doctor who listened and eventually diagnosed my problem as acid reflux (GERD). I'd previously had some indigestion symptoms, but they'd dissipated, so it wasn't anything I associated with my heart palpitations. 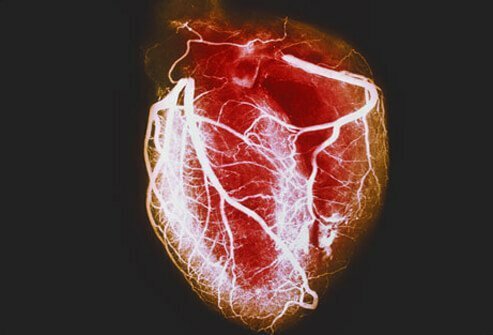 However, once the acid reflux was controlled with medication, the heart palpitations disappeared completely. I'm 20 years old, and I just started having palpitations. I also have a really slow heartbeat, and often, I find it really difficult to breathe and I get dizzy a lot. I found out that I was having palpitations when I went to the ER and they did an EKG. I really hope this gets better, but right now I'm scared to death. I have been getting palpitations on and off for about seven to eight years, although they seem to be more frequent now. It is unnerving to say the least! I have had an enlarged thyroid diagnosed also around seven years ago. I have just had blood work done for this; no test results yet. Maybe by the end of the week I will have them. I am post-menopausal, at age 48. I have a rapid heartbeat, sometimes with dizziness. I really want something to stop these palpitations because they are really getting me down and affecting my daily life. I have had palpitations for many years. I have a right bundle block but the doctors over the years have said that has nothing to do with it. I do smoke a pack of cigarettes every other day, have high blood pressure, high cholesterol, PBC-stage two, and have electric zaps in my head. I guess I should monitor when I have these palpitations and what my activity is at that time. They are scary! I know I must choose a healthier lifestyle too. I had an ablation in June of 2009. It took more than five hours and was unsuccessful. I am still having bad palpitations. I am due to see the doctor who carried out the procedure who has told me there is another procedure called balloon mapping. I do not want to go through that procedure while awake. I have had heart palpitations for about five years on and off. I have had tests run that show nothing. I just recently started getting them again, and it is so annoying. I feel it in my throat and chest. I can't say I have any pain but a slight tightness on my left side. It is really uncomfortable. I don't have high blood pressure, but I have cut out soda and limited caffeine. I'm going to the doctor tomorrow for a checkup and will bring up the palpitations again. I wish there was a quick fix. I have had palpitations for more than nine years. I had all the tests and nothing showed up. I also get the left-sided stomach/rib pain. This pain comes about five minutes after the palps begin. I put it down to the food I have eaten because I can stop it by sitting on the toilet and trying to pass something, which stops them within five minutes. Thank God because they are yucky! I hate going to bed on a full stomach because you can guarantee a wake-up call from my heart! I have palpitations that always seem to be with a mild stomach pain just under my left front ribcage and below. When I get these, I drink a large glass of water and in nearly every case the palpitations stop. I have had this problem for 19 years, and at the age of 60, I take medication for high blood pressure. This problem has always included my digestive system in some way. Having a large meal causes palpitations, and when it appears the food has digested (say an hour), the palpitations stop. I do not smoke and very rarely drink. I have reduced my weight. It seems food and my stomach have a big impact on my condition, but the doctors seem to dismiss my claims. I had been complaining of palpitations since 2000. I had undergone several tests and it was determined that I had mitral valve prolapse. I was treated with a beta blocker, which seemed to work at the time. Six years later, I bent down to pick something up, and my heart raced to 250 bpm. It has been two years now and no problems. I had known things were getting worse. I was tired all the time, was getting short of breath, and every time I bent down for something and came back up, my heart would race. Deep breathing exercises and rest really help. Sometimes I just lay down to calm myself during episodes of palpitations. I experience body weakness and my heart beats really fast. It happens all the time when I am nervous, or in a totally stressful situation. But a good rest solves it all. I have had palpitations for years. I am now age 52. My stress test calcium scores are all good. I was told nothing can be done. I get very fatigued and could fall asleep. My Father has a heart condition called AS I'm not sure what that means. He is 83 years old and has had a pacemaker for 9 years. His pacemaker is making a strong clinking sound. He went to his heart doctor and they told him his heart is beating too fast and he has to go in the hospital for a couple of days to calm his heart down. I was wondering how they do this and is this serious? I suffered from palpitations for 2-3 years. I eventually was diagnosed with an arrythmia; they implanted a deliberator and prescribed medications. After 5 shocks (not fun), we decided to do a catheter ablation. What a difference. I have my life back. Anyone with an arrythmia should talk to their doctor about an ablation. It sure worked for me. My palpitations are associated with my head. I hear my heartbeats in my head. It is constant and annoying. It keeps me awake because it is so loud. I am glad to learn that palpitations are not necessarily associated with heart disease. I really wish someone figures what causes it. Bicycle rides from 5 to 10 miles once or twice per week has helped me to control the palpitations, and drinking less caffeine and soda helps also. I have suffered with palpitations since I was 14 years old and now I am 19. When I have my palpitation attacks I get a stabbing pain on the left side of my rib cage and I also suffer with dizziness. I have been to the doctors about it, but they dismissed my claims. I have had palpitations since I was in my twenties. I am now in my fifties and for the last 6 months have had palpitations with a very strange feeling in my head after. It feels like my pulse is beating in my head and eyes. I have had and MRI and stress test that were both normal. I am about to loose my mind over this and wonder what is going on. I also now am having migraines that just started this week. A very good doctor gave me medications with a beta blocker for my high bp and also alprazolam twice a day for the control of the palpitations. As long as I take these meds correctly the palpitations do not occur except very occasionally. I also reduced my intake of caffeine on my own which helped.